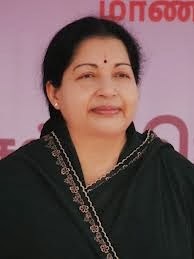 Chief Minister J Jayalalithaa will inaugurate the FIDE World Chess Championship Match 2013 on Thursday at a grand function at Nehru Indoor Stadium in Chennai. The actual match (of 12 games and tiebreaker if required) between five-time world chess champion Viswanathan Anand (43) and challenger Magnus Carlsen (22) of Norway will begin on Saturday. The Chief Minister, who is the patron for the event, allocated Rs 29 crore for bringing the chess championship to Chennai. Jayalalithaa Jayaram (born 24 February 1948), commonly referred to as Jayalalithaa, is the Chief Minister of the state of Tamil Nadu, India. She was a popular film star in Indian cinema before her entry into politics, having appeared as main female lead heroine in over 140 films which includes films in Tamil, Telugu, Kannada and worked in one Hindi film. She is the incumbent general secretary of the political party All-India Anna Dravida Munnetra Kazhagam (AIADMK). She is called Amma ('Mother') and sometimes Puratchi Thalaivi ('Revolutionary Leader') by her supporters. Kirsan Ilyumzhinov, president, Federation of Internationale Des Echecs (FIDE) will preside over the function. Tamil Nadu School Education Minister and Tamil Nadu State Chess Association president P R Venkatrama Raja will participate in the inaugural function, which will be followed by cultural programmes. The match will take place at Hotel Hyatt Regency in Teynampet. About 400 people can witness the games by being seated in the hall separated from the players by a glass wall. Last year, Anand successfully defended his title after defeating challenger Boris Gelfand in Moscow. After winning the title in Mexico in 2007, he defended it in Bonn (2008) and Sofia (2010). Anand first became world champion in 2000 after beating Alexei Shirov of Latvia in Tehran. Besides, he won the FIDE World Rapid Championship in 2003.